Here’s my invitation to those of you, like me, in the top of America’s income and wealth ladder. Come home. What I mean by “coming home” is to bring your whole self – your passion, your stake in a place, your wealth and sense of agency – and throw it fully into the movements to reduce inequality and fix the future. 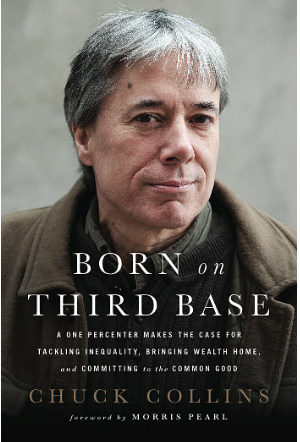 I explain this in detail in my new book, Born on Third Base: A One Percenter Makes the Case for Tackling Inequality, Bringing Wealth Home, and Committing to the Common Good. And for those in the 99 percent, I encourage you to find ways to engage and invite the wealthy home. Yes, there are the unreachable wealthy, the Koch brothers and a hyper-organized cabal of super-wealthy who use their billions to rig the rules to protect and expand their wealth and power. But they are a small segment compared to those we could potentially reach through our organizing and campaigning. Many people are waiting to be called to step up to something greater – and become more connected with others in meaningful change. Approach the reachable rich as your long lost cousins, wandering in exile, disconnected from authentic community. Find ways to welcome us into movements for transformation. I say “us” because I grew up in a privileged family and have spent the last 30 years organizing around issues of economic inequality. I cofounded United for a Fair Economy with Felice Yeskel, who went on to cofound Class Action. I know the power of wealthy allies stepping up to speak out against inequality – through networks like Responsible Wealth, Wealth for the Common Good, and the Patriotic Millionaires. We have five years to fundamentally shift the economic and ecological trajectory of our communities and planet. Left on autopilot, we are hurdling toward become a racial and economic apartheid society. If the racial wealth divide continues to grow at the same rate it has over the last 30 years, the wealth gap between whites, Blacks and Latinos will double by 2043, according to a new report I co-authored, Ever Growing Gap. These inequalities – combined with an ecological crisis that will destroy the natural foundations of wealth – underscore that it is in all of our deep self-interest to reverse these inequalities and support movements for great equality. Even owning class people may not feel much power or agency to fix things. But we have considerably more power than most people on the planet. The wealthy have an important role in supporting movements for greater equity and ecological sanity. We should speak out against policies that worsen inequality and leverage the privilege we have to help U.S. society and the world make a timely transition to a healthy and sustainable economy that works for everyone, not just the wealthy. This includes advocating for higher wages, fair progressive tax policies and renewable energy transition. This storytelling can be with peers or in the public media, but it is a fundamental ingredient in shifting the narratives. Bring the Wealth Home. Bring your wealth back from the global financial casino and the off-shore tax havens, and reinvest it in the real economy and in building health and resilient communities. Divest from the fossil fuel sector and invest in the new energy economy. Go “off the Wall Street” grid, shifting as much capital as possible to impact investment funds and community development financial institutions. Share the Wealth for Social Change. Dig deep and fund “social change” organizing, not traditional charities that maintain the status quo. Prioritize organizations that are building the power of disenfranchised communities. Give to social change foundations and intermediaries where community activists share the power of decision-making or control all of the decision-making. Recognize the Limits of Philanthropy. Philanthropy is important, but it is not a substitute for an effective and accountable government at all levels, adequately funded by a fair and progressive tax system. Too much philanthropy by the wealthy is done with an eye to protecting status and avoiding tax obligations. Instead of complaining about government and dodging taxes, pay your fair share and stay engaged in ensuring government accountability for the best use of tax dollars. Racial Wealth Disparities. The inequalities of the last 30 years have “supercharged” the historic racial wealth divide. Explore how systemic racism and the historic legacy of racial discrimination interacts with this wealth divide – and how we have benefited from a system of racially unequal rewards. Support movements for reparations and repair to address the multi-generational wealth divide. 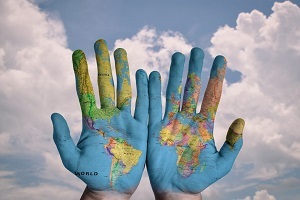 Make a commitment to a place and advancing economic justice for all. The work of “coming home” will feel disorienting and humbling. It will expose vulnerabilities that have been masked by the narcotic effect of wealth and privilege. We will have to ask for help, instead of pay for it, exposing us to the vulnerabilities that go along with being human. But this is the path toward wholeness and connection, with people and communities. Coming home is an invitation to be fully alive.